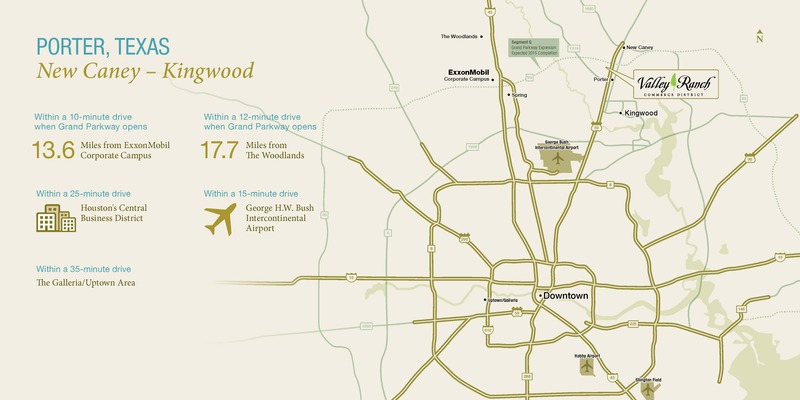 Valley Ranch is ideally situated near the Kingwood area in the rapidly emerging northeast corridor of Houston, at the newly-created intersection of I-69 (US 59) and the Grand Parkway. 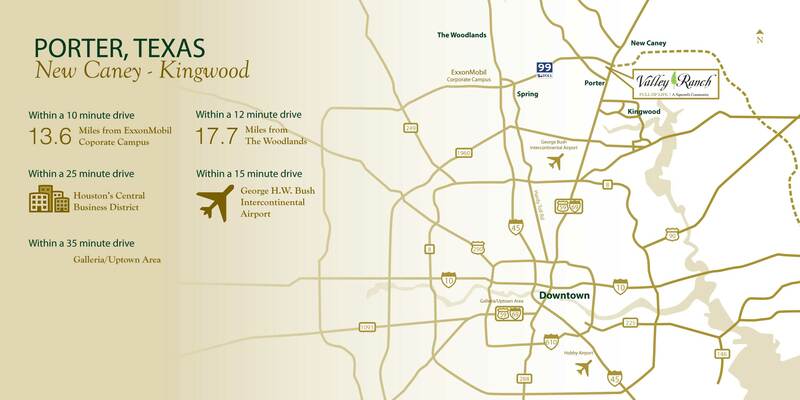 The community is within minutes to major work centers and attractions in downtown Houston, The Woodlands and the Kingwood/Humble area. Visit us today to learn more about the amazing new homes for sale at Valley Ranch, near the Kingwood area. Continue straight down I69 feeder road to turn right at Azalea Drive for the Model Home Park with CastleRock Communities, Legend Homes, First America Homes and Highland Homes.